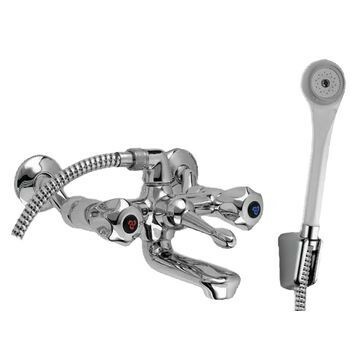 Stella bath mixer with diverter, wall-type, chrome. 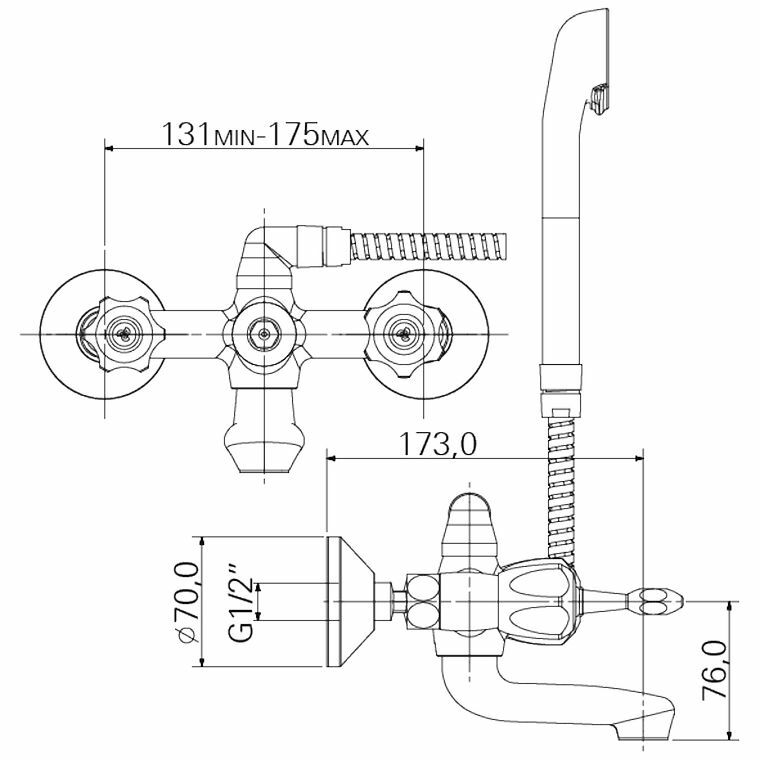 Includes: 1/2" BSP male inlet, hand shower, hand shower hose, wall-mounted hand shower holder, and concealed connections. SANS 226 Type 2.